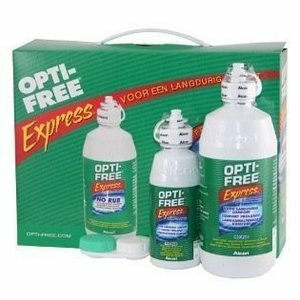 OptiFree Express - 6 months - Weblens - Your Contactlenses Online ! All-in-one liquid from Alcon. Very suitable for soft weekly and monthly lenses.In this package are 3x355ml + 1x120ml + 3 lens holders. 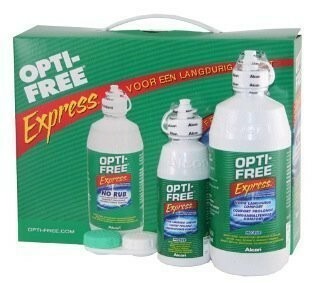 OptiFree Express is an advantageous all in one product from Alcon. The cleaning is done very intensively thanks to the active ingredients.